Contrary to a new cultural campaign by Hallmark and others, Father’s Day is not a holiday for black single moms. A man who has begotten a child. I would give the dictionary to deadbeat dads, but I’d also give it to those being duped into honoring single mom’s on Father’s Day. The gift idea came while I was in Wal-Mart to buy a card for my dad. My wife, as she shook her head sadly, pointed to the category “Happy Father’s Day, Mom” in the Mahogany section. Mahogany is Hallmark’s brand for African Americans. I looked through the general Father’s Day card section, but couldn’t find the “mom” category. Some people insist on making a buck by selling the idea that Father’s Day is also for single moms. Hallmark has been offering the mom cards for a few years, and a Web search also revealed a few entrepreneurs selling T-shirts, mugs and the like. Being a dedicated black father of three grown children who looks forward to this one day that celebrates what I willingly do every day, I find this offensive and even dangerous, particularly for the black community. Nationally, 1 out of 3 American children live in homes where fathers are absent, according to the Center for Disease Control. The black rate is 2 out of 3. 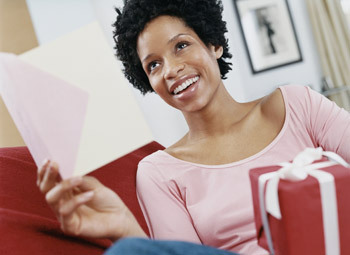 The message to the black community is that single motherhood is acceptable, so celebrate with a Mahogany card. I am a single mother of two males and two females. My strength came from the Ancestors and spiritual guides, and my strong connection to the Creator. But I never identified as the mother and the father. Why? I heard that growing up. “I am your mother and your father.” What that came to mean for me, that my mother became the focus of all my issues.. since my father was absent. This retarded my mental health and emotional growth in many areas. When I got older I began to realize that my feelings of abandonment were deeply seeded in the fact that my father left me. My mother never left me, (thought there were times that her abusiveness made me wish she would.) But my mother could never fill the gap my father left, no matter how many times she said that. In fact, her mothering skills were faulty, so how in the world could she be a “good” father?? My mother was/is an emotionally driven, high strung manipulator. This I say with no malice because that personality disorder is a product of her life as a small child, a child who lost both parents, one through death, the other through abandonment. So I refused to say that to my children, I am your mother doing the best that I can to be the best that I can to you and for you. When my sons came of age, I looked for a male figure, rites of passage program or some other programs where men could share their experience, wisdom and just fool around with them as men do. My daughters’ father was also absent.. and they too are experiencing their own issues around that. As adults, they are responsible for their relationships with their fathers. I stressed that to them and to their fathers. One can only be what one is….. we do realize that every man has a little woman in him and every woman has a little man in her, but seriously, to take on both roles is counterproductive. I am a mother raising children, I am a father raising children. Acknowledge me for my efforts, (and not on some holiday somebody else made up, but that’s another rant) and I will appreciate that. I like the idea of “find another male figure in the family and/or community that you respect to say Happy Father’s day to.” That works!!! The irony of it all is that both of my sons contacted me and said, Happy Father’s Day. It blew me away, because I thought I had made it clear to them. Just a side bar to let folks see how strong the consensus can override the reality.